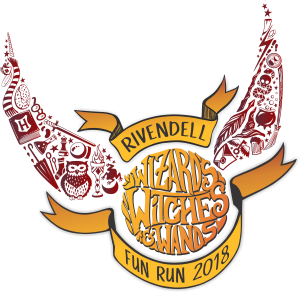 The Fun Run is an annual event to raise money for Rivendell. Proceeds go towards things that directly benefit Rivendell kids. Past projects funded by the Fun Run include our playground equipment, PE & music equipment, field trips, refurbishing the computer lab, classroom technology and the playground rocks. Your child will run a practice Fun Run during P.E. to get an idea of how many laps they can run in 30 minutes. Based on the number of laps your child feels they can run in 30 minutes, they will find sponsors that will pledge either a flat donation amount, or a per lap pledge amount. Parents should record the sponsors' first and last name and email address on the sponsor sheet that your child receives from their teacher. Be sure to double check email addresses because we use them for event communications, collecting pledges and sending tax receipts. After you child runs on September 28, you will receive a notice of how many laps your child completed. Please write this information on the sponsor sheet and communicate it to their sponsors. Parents and students are responsible for collecting pledge money (either by check, cash or online through our PayPal form below). Please have all pledge money and your sponsor sheet turned in to the office by October 13th. Because there is no product or third party involved, 100% of what we earn will go to our school and 100% of a sponsor's donation is tax deductible. Donors will receive a tax receipt by email after the pledges are tallied. You can print off extra Fun Run Sponsor Forms as needed, and review general Fun Run instructions and instructions for collecting funds afterwards. We also need volunteers to help out. You can mark and tally runners, prepare refreshments for the kids, or blow bubbles and cheer everyone on! To help, or for any questions, please email madeline@rivendell-school.org. You can pay your pledge online securely with PayPal. Simply click below, and you will be taken to the PayPal site to make your donation. No sign-up necessary; you can use your credit card.